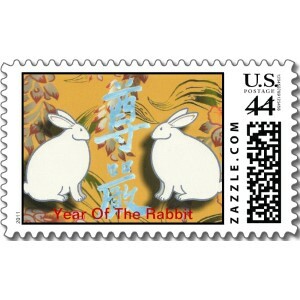 I've begun to offer my Zazzle items publicly, including postage stamps. I love using special stamps on my cards and letters for that extra personal touch. I also made some adorable Valentine stickers that look like baby Sjimmie! I love Zazzle's postage--I wish their prices were a little less, but hey, you get exactly what you want! Thank you for the brain jumpstart Lolo! Love that new header painting too! Hi Laurel. Best of luck on your new endeavor. I used to make stamps too. As you say - pricier, but, oh so satisfying to use. Your postage stamps look better than the one the USPS just released. Your header is very interesting. I feel like it shows lost souls. Beautiful stamps. I agree with Lisa...so much better than the USPS ones...Yours have heart! Just awesome, your stamps Lolo! Much, much nicer than the post office has. You did a fine job on the stickers too....take a bow! Aw, so sweet. Love that Sjimmie one!!! lo-stamps! you cannot put a price on creativity! beautiful! I love the stamps..what a great idea. I don't think we have any like these in Canada. Your header is exquisite...I am very drawn to it. It's so interesting and vivid! i have ptsd over past stamps but for you i will get over it. these are beautiful. the header painting is just gorgeous. thought provoking. the stamp idea is adorable. you are being very busy for sure!! This is great. Great stamps. I am still a little miffed about having to let go of the Year of the Tiger. I liked it being my year. This is such a great idea - pity we can't use them here! What a beautiful design! Artistic postage is worth a few extra pennies. I put a link to your shop in my facebook feed. The design is brilliant. Also, I'm so impressed with your Chinese character option, "尊厳. "=dignity and respect. Wow, you're a deep thinker.